Though its utterance may still invoke images of a serene old Indian man with a white beard in a saffron robe, its use has become so commonplace today that you’d think one of these masters lives in every city block. Historically, this title of guru was reserved solely for the highest spiritual teachers of humanity. This yoga master of lore was the keeper of a repository of mysterious universal secrets. He/She was one who offered shelter and guidance to those willing to walk the difficult path to self-awareness; one who, on the threshold of nirvana, liberation from this worldly existence, voluntarily renounced that privilege in order to guide others to the gates of freedom. The term guruh itself means “remover of darkness,” or “one who guides from darkness to light.” These “illuminators of truth” belong to no particular creed or sect, culture or philosophy. Throughout the ages they have been the shepherds of mankind, drawing the devoted and sincere aspirants of truth and understanding under their gracious wings. Nowadays this word is used quite loosely, often as a mere substitute for “teacher.” In the West we have certainly seen a real perversion of this term, it now being associated with self-proclaimed experts in anything from relationships, to fashion design, to investment, to gourmet cuisine. It is little wonder that the average person today regards this title with measured cynicism. I recently saw an advertisement from a yoga school in America, which said “we tell our students you do not need a guru.” This was a startling assertion to me. From my years in the study and practice of yoga I have come to realize, beyond any doubt, that the guidance of an experience teacher is essential. The attitude put forth by that yoga school, however, is reflective of the typical ignorance that surrounds yoga and spirituality today. The view of yoga can often be so shallow that many modern yoga enthusiasts have a hard time conceiving just what is so difficult about it, and aside from learning how to perform various exercises properly, may wonder what other need exists for a yoga guide at all. The modern mind also struggles with the notion of authority, which, in my opinion, also underlies the present-day aversion to the idea of a guru. There is, in some minds, a subconscious view of the guru as an authority figure, with all the same negative associations from one’s past authority figures, such as their teachers, parents, bosses, etc. This programming keeps them from seeing the guru for what they rightly are — one who, through their infinite love and compassion, selflessly offers their guidance for the understanding and growth of others. “Students came and generally went. Those who craved an easy path, that of instant sympathy and comforting recognitions of one’s merits, did not find it at the hermitage. The one who has gone far along the path of yoga is quite familiar with the problems and realities of the inner life. He/she has come to understand, through experience, that the mere possession of “academic intelligence” and “worldly experience” is not enough to create inner, self-transformation. In order to go deeper and see what the vast array of techniques and practices of yoga truly have to offer, it is necessary to have a spiritual guide who has successfully carried out the experiment of yoga on him/herself. “As disciples are at different stages of spiritual progress and their needs and capacities vary greatly, it is natural that gurus of different degrees of capacities and qualifications should be needed for their guidance. 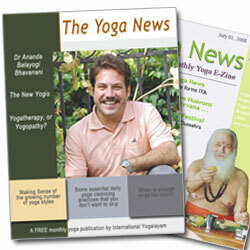 Any yoga teacher, however, still needs to be a committed and disciplined practitioner of yoga. They must have adequate knowledge and experience to understand the problems of those under their guidance, and the capability to guide them through to higher levels of experience and understanding. After all, a yoga guru really is, in effect, the ultimate life coach! The teacher, however, can only do so much. Ultimately, it is up to each person individually to walk the path to knowledge. If one eventually wants to be able to learn what a great master has to teach, then they must prepare their self to be able to benefit from that guidance. As Yogacharya Ananda Balayogi Giri remarked to a group of his students, “you must make yourself fit for your ambitions.” It does one little good to seek out some high ideal of a guru, when one is neither ready for, nor capable of benefiting from their wisdom.